With “One Island for every day of the year” the 365 Exuma cays are strung out over more than 100 miles of magnificent sea, starting 50 miles from Nassau and heading south-easterly towards Great Exuma and Little Exuma in the south,where most of the population lives. The Exumas are especially beautiful with their thriving tropical vegetation and pristine beaches. The Exuma chain encompasses approximately 360 cays,stretching 130 miles. Oceania Heights is located on Great Exuma, the largest island of the Exumas, which stretches 37 miles in length. Aside from its physical beauty, the atmosphere in Great Exuma exudes warmth, serenity, and comfort. 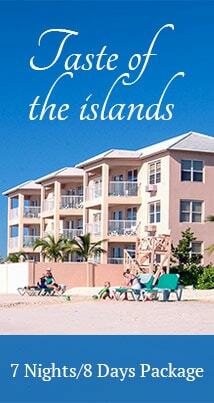 The Bahamian attitude, which radiates tranquility, family, and kindness can be felt at every turn. With its veritable bounty of water and beaches, it is a dream destination for any water sports aficionado. This string of secluded islands provides the ultimate escape for every type of traveler. Most of the cays are uninhabited, others, like Allen’s Cay, are home to families of iguanas, while others like Staniel Cay have small settlements with a few homes, a food store, a yacht club and a restaurant. The main gateway and International Airport is situated at Moss Town on Great Exuma, 10 miles north of George Town, the capital of Exuma. 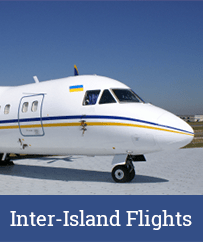 Scheduled flying time is approximately 35 minutes from Nassau. The first known entries in Exuma’s history books date back to the 1600s, when it became a major producer of salt. In the 18th century cotton took over from salt as the commodity of choice amongst plantation owners. One of the more notable landowners of this era was Lord John Rolle who left his 2,300-acre estate to some 300 former slaves. To this day at least one third of the population of Exuma have the name Rolle. The main focus today for tourists to Exuma looking for shops, bars, restaurants and nightlife is Georgetown, bordered by a marine lake on one side and magnificent Elizabeth Harbour on the other. Nightlife like in most Out-islands is gentle, with most of the action taking place in the various hotels and bars, where live music is often played. Across Elizabeth Harbour is Stocking Island, long and thin with miles of deserted beaches and great shelling. On the island’s highest point is a tall monument,erected to guide ships in to load up with salt in the last century. They would fly flags or burn fires on it when there was salt for sale. Beach lovers can catch a ferry to Stocking Island, which leaves from the Government Dock. Exuma’s high point of the year is its annual “Family Island Regatta” when sailing sloops from all over the islands head to Exuma for a weekend of races. Accompanying the boats are many locals from other Out-islands, who come to share in the festivities. The regattas feature local food, drinks, music and is generally considered a homecoming party. Exuma has also gained a reputation for some of the best bonefishing spots in the world, especially on the sheltered leeward coast of the island. Bonefish are known for their strength, as well as their boney composition, allowing fishermen the ultimate sport of a fight to pull one in. The Exuma Cays Land and Sea Park based around Warderick Wells Cay also attracts thousands of divers and snorkelers every year to its exquisite turquoise waters. There are also great dive spots in the park including “Jeepreef”. Recently the Swimming Pigs have become the most popular single attraction in The Bahamas. These “domesticated” pigs live on Major’s Spot Cay, and it’s uncertain how they got there. Whenever a boat arrives, they swim out to it and expect to be fed, a practice that’s been going on for years. A day trip to the Swimming Pigs is not complete without a stop at Thunderball Grotto, a swim with the sharks and a visit to Staniel Cay all possible in a single outing with daily departures from Georgetown Exuma.